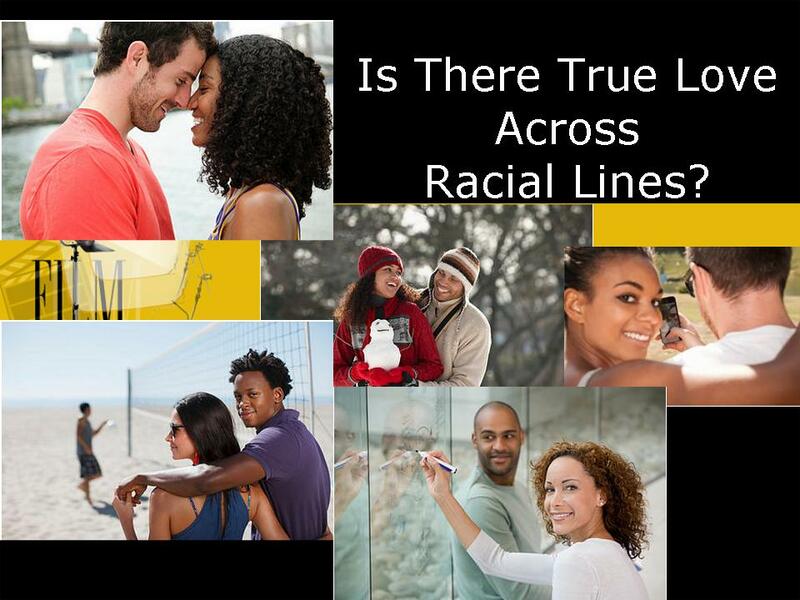 Can True Love Cross Racial Lines? Every Wednesday I am on the Female Solution show along with Mark Shahid, a Relationship Coach who hosts workshops in St. Louis. We help couples by providing guidance and real solutions to problems. The host, Naimah Latif, presented a young couple; a man who is African, and a woman who is Iranian. They met while traveling abroad. Both have strong family ties, but deep within the family lines, totally unblurred, is racial hatred for anyone outside of their race. Naimah explained the couple is in love and wanted advice on how to help their family accept the fact they want to be together. The family is against such a union, and has gone so far as to threaten to do physical harm to the African brother, if necessary, in order to stop this couple from being together. I always say in order to fix the problem; we must first understand why the problem is there. This country has created a fatal, painful and dysfunctional history about race. It is so deeply embedded, even today, that many who have not taken the time to study their history will ask the question, “Aren’t’ we doing better” when it comes to race. Evidently we aren’t, and we really have not come that far. Yes, people are more racially savvy and use social etiquette in ways not to engage in outright prejudice. We may say the right thing, and for the most part deport ourselves in a diplomatic way in fear of being reprimanded or socially labelled, but is this enough to remove the engrained hatred, the stereotyping, bigotry and fear that has shaped generations of different races and cultures for hundreds of years? Is this enough to remove a system shaped in racism? Does diversity authentically change the system from the inside out? Two opposing families, both experiencing racism in their own way, being stereotyped and judged in fear, are left to respond with hatred to the point to cause potential harm, in order to end the love this couple desires to lovingly experience, and openly share with family and friends. I had to ask. How can any type of love come to the forefront in the midst of racial hatred? How can it authentically happen in an environment where there is nothing but history of racial enslavement, lynchings and wrongful death? How can two people of opposing races, with only one destructive connection in common (racism), have any possible grounds of love between them? How did this love come forth? Is it real, or is it a form of self hatred for who they are and what they are trying to escape from, by running to each other? I asked how does the Iranian sister truly know she is in love. Allowing Naimah to be her voice, her response was he is very similar to her father in the ways of strength and kindness. She said he can be a bit controlling, but she can live with that. She also found him to be supportive, smart and kind. If this couple had to face each other in a racial demonstration and both were holding hatred signs while looking at each other, would they have seen the human characteristics and the similarities in the midst of a racial protest? My response to that was they did not lynch you because you were a man. They don’t stereotype you because you are a man. And from what his father had seen and experienced first hand, they didn’t call you “boy” because you were a man. Mark Shahid made a scientific observation. We study animals, as they are in many ways similar to how we, as humans, live and behave in a communal, family and social setting, but animals do not mate with other species. Naimah asked Mark and me the question, can we evolve to become a people who will accept another, regardless of race and love in a world without walls? Are we capable of getting past the issue about race? Of course, anything is possible and in a few exceptional cases such relationships are successful. But the world “without walls” is nothing but a world of mental, emotional, racial and psychological walls. The reality is until America owns it, rather than deny its historical and current issues surrounding race there will be a continuum of issues this couple will have to face. Speaking of the continual embedding about the issue surrounding race, consider Shakespeare’s work of Othello. Shakespeare is regarded as the greatest writer in the English language. He wrote in absolute hatred about miscegenation. How contradictory, if we are trying to evolve away from racial hatred, to make the study of his writings and belief system a scholastic requirement? How can we really support miscegenation? As a matter of fact, what does his writings imply that would make us consider we should? How can we reverse a system of racial hatred when it is deeply embedded in a history, engrained within our educational system, threaded and executed through our justice and social systems? A couple, who expects to share their love and lives together, cannot remove their history. Whether we want to accept it or not, deny it or not, history is a part of our lives. The success or failure of our present condition and our future is how we address our past in order to reshape our lives. A relationship needs commonalities and core essentials like ethics, morals, and spiritual, historical and other belief systems in order to build on. Otherwise what else is there? Our past is critical to who we are, why we are and it impacts our future. If a bi-racial couple is to be authentically successful together the healing has to begin with them. The reality of what was and how it impacts what is, needs to be recognized and addressed. The truth of why and how a love merged in such a relationship needs to be discussed, understood, objectively rationalized, and weighed. This cannot be done on a superficial level. Trying to deny or ignore what was only creates an illusion of what is. We have to deal with it to heal with it. In closing, my response to my Iranian Sister and African Brother was clear. The answer you seek is not outside of you. It lies within you. If your love is profound enough to answer the questions; if it is deep enough to forego the past, if it is transcending enough to surpass a painful history and strong enough to deflect and defend anything in opposition of that love; and if your love is open enough to talk about the history, accept it, own it and work towards progression, then your love should indeed last. There is always someone in the family you can talk to, and who remains a neutral party. Start with that person. We received an update on the couple’s progress. They have managed to make a small break through with their families. This is good news. A small break through can be the beginning of a break out. This entry was posted in Differences to Bridges and tagged bi-racial relationships and failure, bi-racial relationships and success, racial problems in America, racism and relationships. Bookmark the permalink.